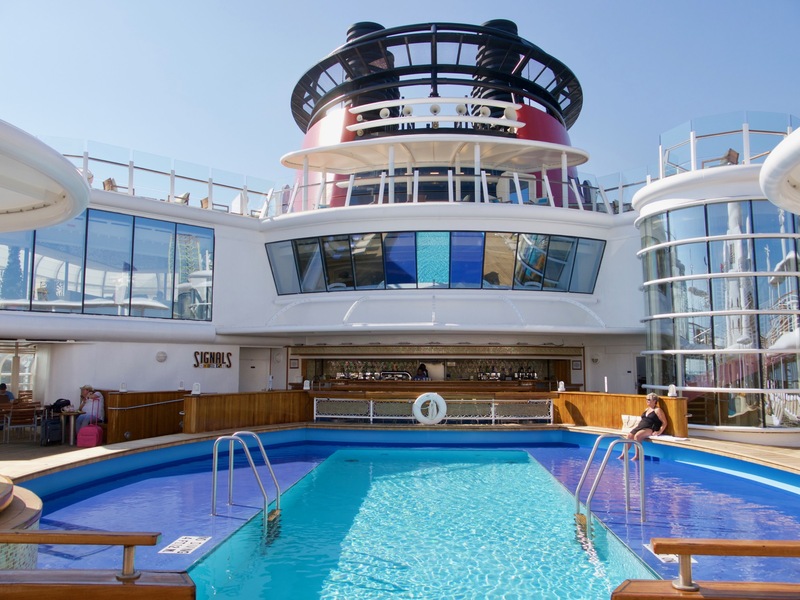 There’s more to Wonder and Magic than Disney ever manages to cram into a press release, and the “reimagining” of Disney Cruise Line’s original ships is no exception. The marketing people need to focus attention on those changes the public will find most compelling. 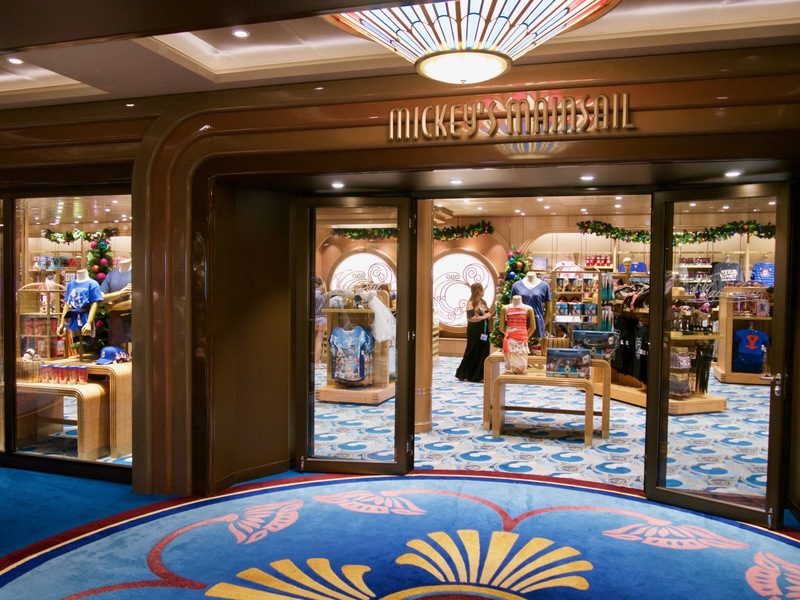 All-new kids club experiences may encourage you to stick with Disney for your next cruise; improvements to the retail shops don’t quite have the same pull. The Disney Magic and Wonder are sibling-ships, and as any parent knows, you can’t get away with treating the eldest child better than the younger. 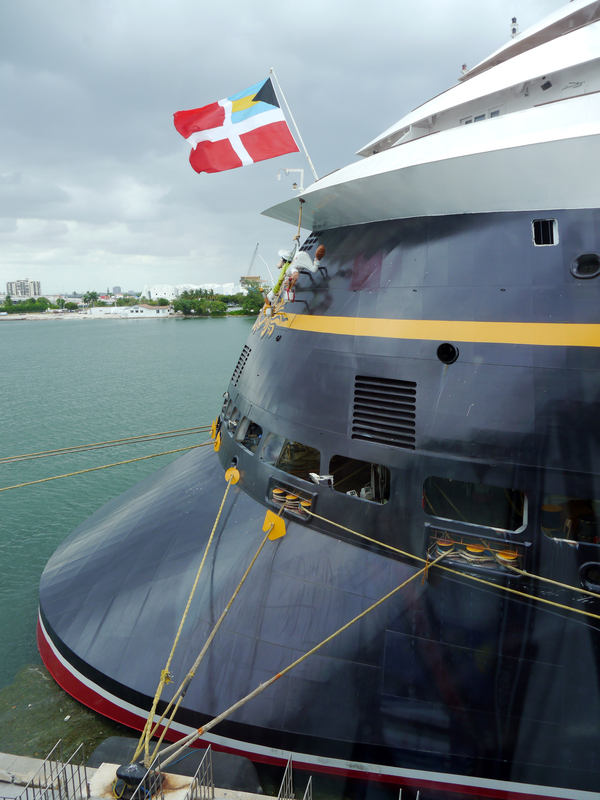 Since we knew exactly what goodies the Disney Magic received in 2013 and 2015, it was easy to predict just what enhancements the Disney Wonder would receive this fall in a Cadiz, Spain shipyard, even those that didn’t make their way to the headlines. Still, as any student of Walt Disney Imagineering knows, the Walt Disney World version of Space Mountain (or Pirates of the Caribbean, or Haunted Mansion) is not the same as the Disneyland version. And that’s a good thing. As expected, the Atrium Lobby on the Wonder received the same modifications that were made to the Disney Magic several years ago. 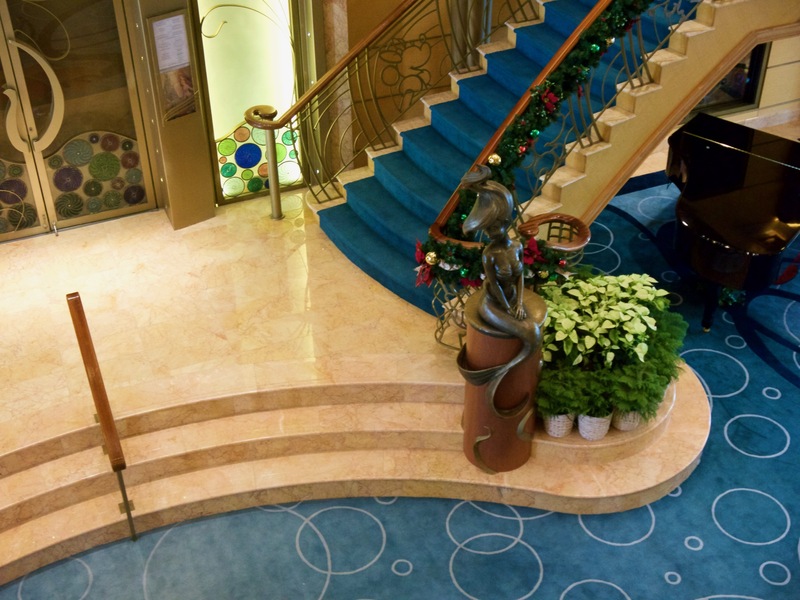 The decor was refreshed, with one of the goals to reinforce the ship’s Little Mermaid theme. Of course, the statue of Ariel and Triton’s restaurant have been key features of the lobby from the start. Now, additional decor elements have been added to extend the theme to all corners of the space. The famous Dale Chihuly chandeliers were removed and sent packing to a Disney archive/warehouse, not unlike the Ark of the Covenant in Raiders of the Lost Ark. The good news is that the Wonder’s new chandelier looks nothing like the Magic’s. 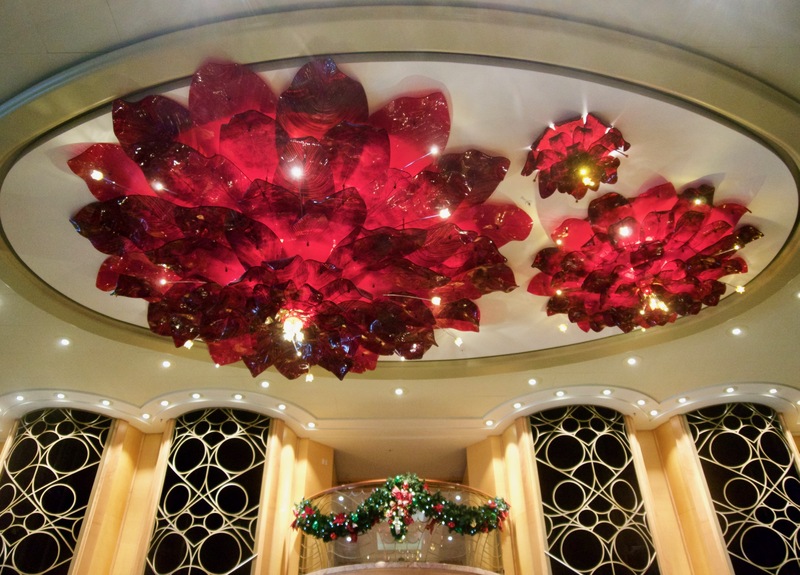 If anything, it’s an homage to Chihuly, in that it’s made of colorful, translucent elements that closely hug the ceiling. It takes the form of three rosettes of the same kind and color, but of dramatically different sizes, reminiscent of somewhat flat chrysanthemums. On the Art of the Theme Tour, we were told the chandelier represents the flower Ariel wore in her hair, but the more I think about it… the chandelier is the color of Ariel’s hair (the flowers, shells, and starfish that she’s been known to wear are always a contrasting color). That deep red hue also seems particularly appropriate during Mickey’s Very Merrytime. 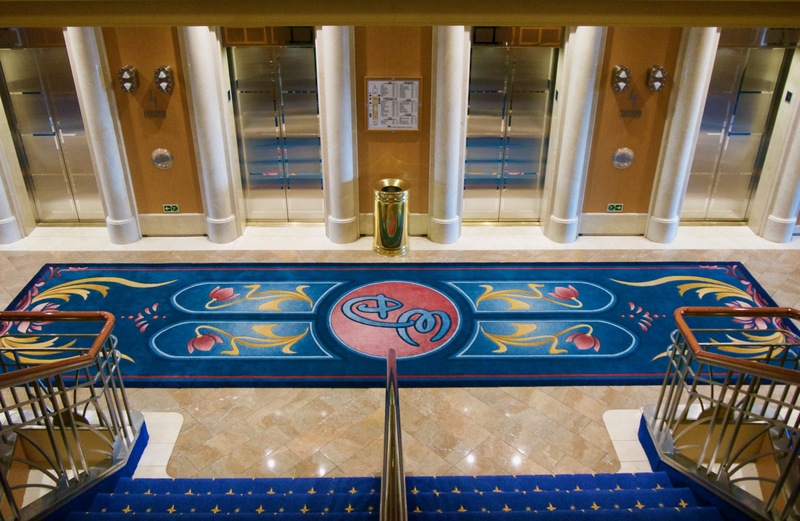 From ceiling, we move to the new, sculpted/inlaid carpeting on the floor, designed to reinforce the “under the sea” motif. The pattern here is simpler and more subdued than on the Wonder’s sister ships, featuring a single, muted orange lotus blossom and a tracery of dark blue-green leaves and stems, over aquamarine and pale blue “water,” with overlapping white circles to suggest bubbles. As expected, the curving, port side staircase was removed, as it was on the Magic. This opens up additional floor space in a room that can become awfully crowded just before dinnertime and during character meets. Removing the stairway meant there was a gap to fill in the landing’s marble-tiled floor. Disney being Disney, they couldn’t limit themselves to squares of plain, light brown polished stone; they inlaid a decorative, spiral-and-bubbles pattern, using white marble. Then, there’s the statue of Ariel, which used to sit dead-center on that same landing. Ariel now stands adjacent to the base of the remaining staircase, still available for photos, but no longer underfoot when folks are heading to dinner. Finally, the Guest Services and Port Adventures desks also received a refresh. Behind each desk is a new mural, one featuring Ariel, the other King Triton. 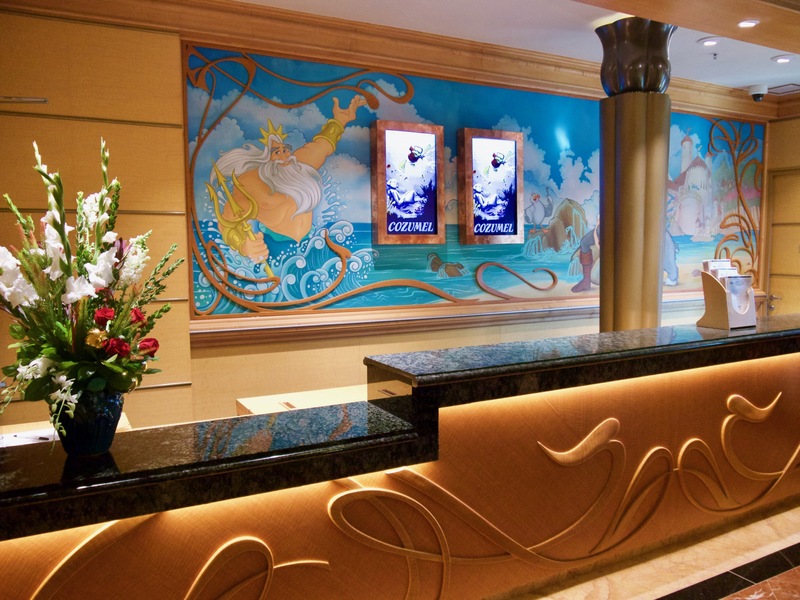 In keeping with the ship’s overall Art Nouveau style, trailing vine/lotus leaf elements of carved wood frame the mural and overlay the front of the desks. 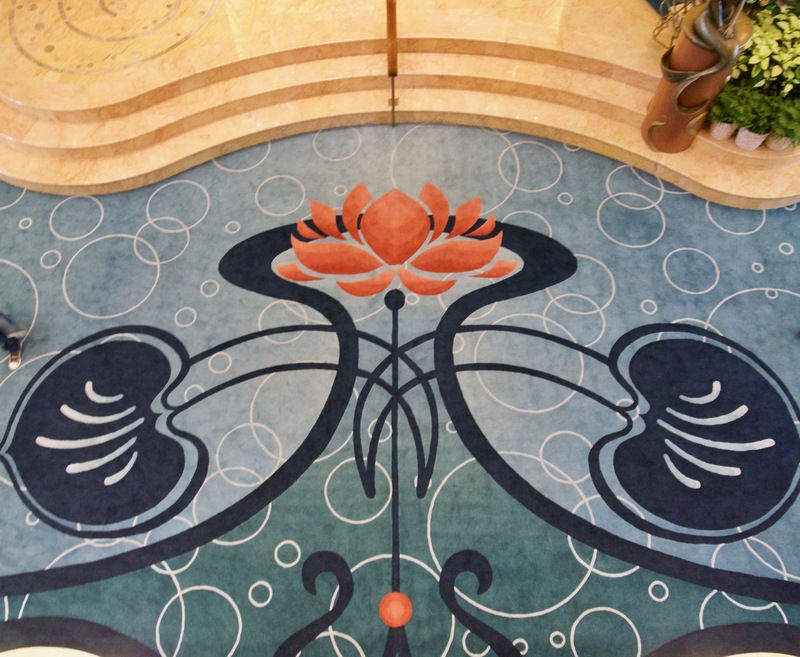 While most carpeting on the ship is unchanged, the lotus and bubbles motif found in the Atrium Lobby can also be found in the elevator lobbies and on deck 4 forward by the shops and theater lobby, though the colors are generally more vibrant and the patterns more complex. Once upon a time, the Disney Magic and Disney Wonder had a small, public sundeck on Deck 7 aft. The Magic lost its deck several years ago to an emergency generator (certainly a good thing to have), and we can now confirm that the Wonder’s special, hidden deck has met the same, noble fate. The upgrade that delayed the Wonder’s major overhaul is a fuel-saving and stability-improving extension to the stern of the ship called a ducktail. When I spoke to Captain Robert, I learned that the primary reasons for the addition were balance and “hull speed.” A lot of weight was added to the upper decks (bump-outs for Cabanas, Twist ‘n’ Spout slide, emergency generator on deck 7 aft), which, for the sake of stability, had to be counter-balanced by adding weight down below. Also, a longer ship is a faster and more fuel-efficient ship. The Disney Magic’s Ducktail. Trust me, the Wonder’s looks just the same! Moving the tweens club, Vibe, from deck 2 midship to deck 9 meant there was space for additional staterooms. We haven’t seen their interiors, but we have no reason to expect they’re different than any others on board. We’ll just have to wait to hear from cruisers. The only thing to say here is, “What Internet Cafe?” The enclosed area next to the Promenade Lounge on deck 3 no longer houses computer terminals. Instead, the perimeter of the space is now lined with comfortable, high-backed bench seating, surrounding an area of open carpeting for toddler-watching. The only entry into this comfy corral is controlled by a sliding, wooden gate, to ensure that the little ones don’t toddle out onto the dance floor. If you must surf the web, either plan to bring your own laptop or mobile device, or borrow one from the Internet Services or Guest Services desks. The Internet Services representative is still stationed in his/her familiar spot in the Promenade Lounge, for those who need assistance connecting or choosing a data plan. I can also report that internet connection speeds are far better than they used to be, making it all too easy to burn through your data plan. Where has the Internet Cafe gone? It’s now dedicated to Toddler Time! 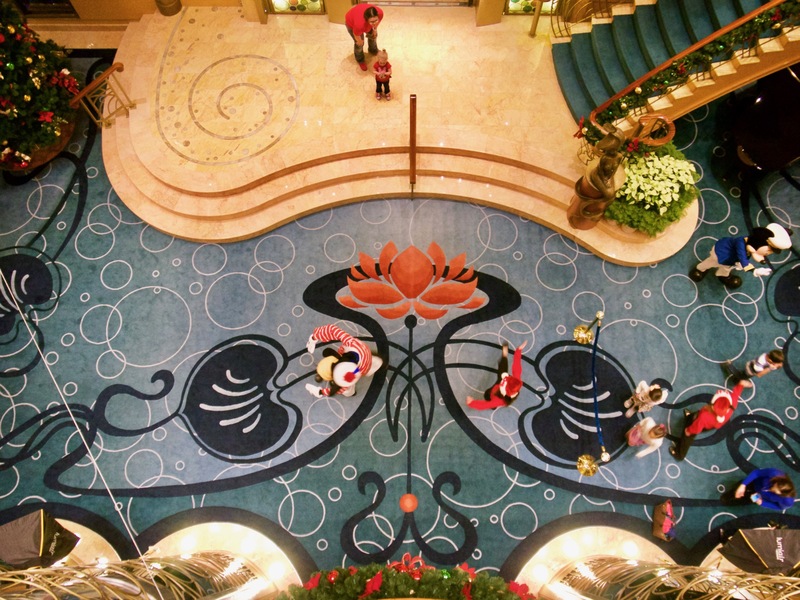 Watch the ship’s activity schedule for “Toddler Time,” now a feature on both the Magic and Wonder in the space adjacent to the Promenade Lounge formerly occupied by the Internet Cafe. During Toddler Time counselors from “it’s a small world” set up soft play structures for the kids to explore. Though counselors are on hand to supervise and play with the children, parents must be present, too, whether they play or just watch. 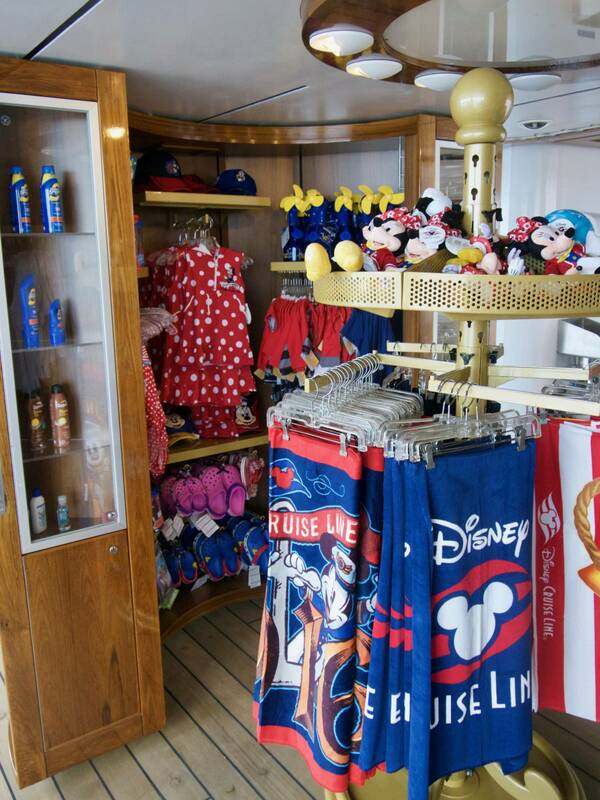 As expected, the retail shops received the same, major refresh we previously saw on the Disney Magic. The main shops on deck 4 forward (now named White Caps and Mickey’s Mainsail, as on the other ships) now seem far more spacious, thanks in large part to replacing most of the interior walls with floor-to-ceiling glass. The sales desks inside the shops were relocated to the far walls, and light pours into the rooms through either large, round picture windows (White Caps), or identically-shaped, false windows (Mickey’s Mainsail). Duty-free liquors have been moved to White Caps from the shop on deck 3 forward, which is now called Treasure Ketch. 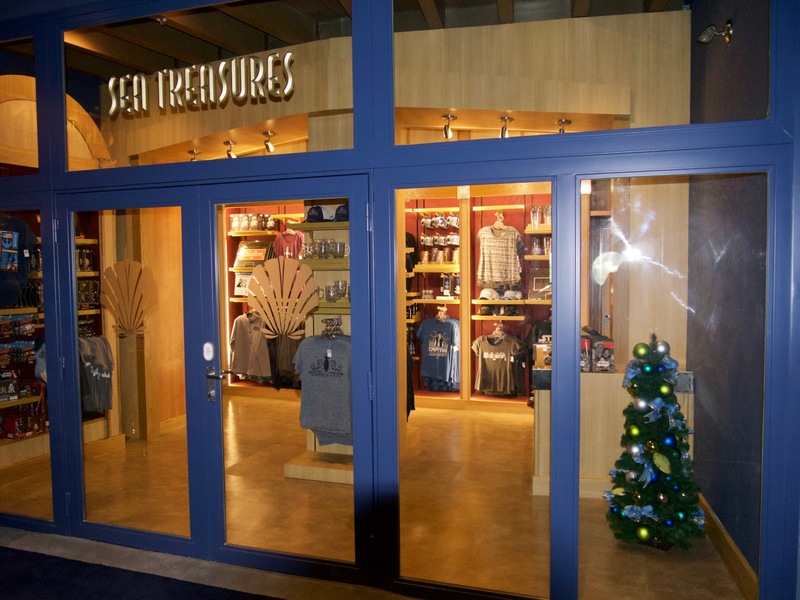 Treasure Ketch has switched gears, and is now selling cruise line-themed Star Wars merchandise, along with a few Crown & Fin Pub-themed items. The shop’s location in the After Hours district doesn’t bode well for any kind of retail sales, so I wouldn’t be surprised if the mix of merchandise changes again. Mickey’s Mainsail on deck 4 forward. Note the light pouring in through the faux portholes. Looking across the Quiet Cove Pool towards the new Concierge Lounge (former Outlook Cafe) and Cove Cafe. The Concierge Sundeck is directly above. It’s been quite a while since I last cruised on the Disney Wonder. Back then, the ship had a windswept watering hole on deck 10, the Outlook Bar, with a view forward above the Quiet Cove Pool. In the years since, Outlook Bar was enclosed and expanded, for the benefit of Alaska itinerary cruisers (great views, cozy environment). Alas, this is the space that has been carved up in order to create a private lounge for concierge guests. 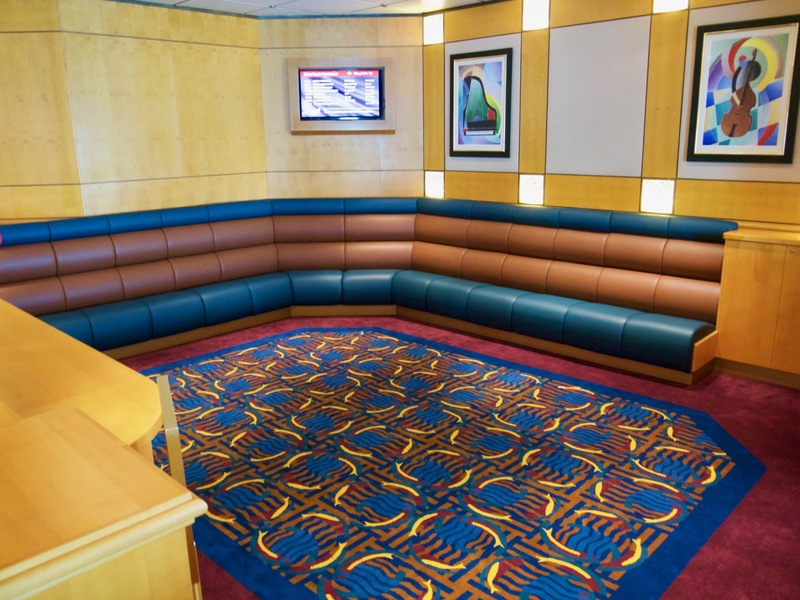 Yes, the Disney Wonder’s concierge guests finally have a lounge and, above it, a private sun deck that they can call their own. Again, this means a similar amenity is now available on all four ships. Though I couldn’t visit those exclusive spaces, their impact is easy to see, as they overlook the Quiet Cove Pool. 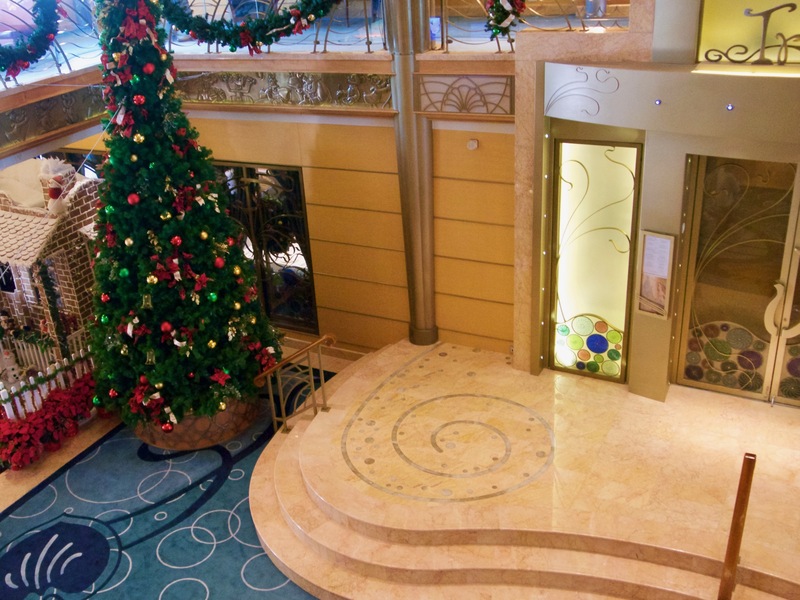 Entrance to the Concierge Lounge in the deck 10 midship elevator lobbyThe space for the lounge was carved out of the former Outlook Cafe on deck 10 forward. What remained of Outlook Cafe was reassigned to adults-only Cove Cafe, to which it is connected by a circular staircase. 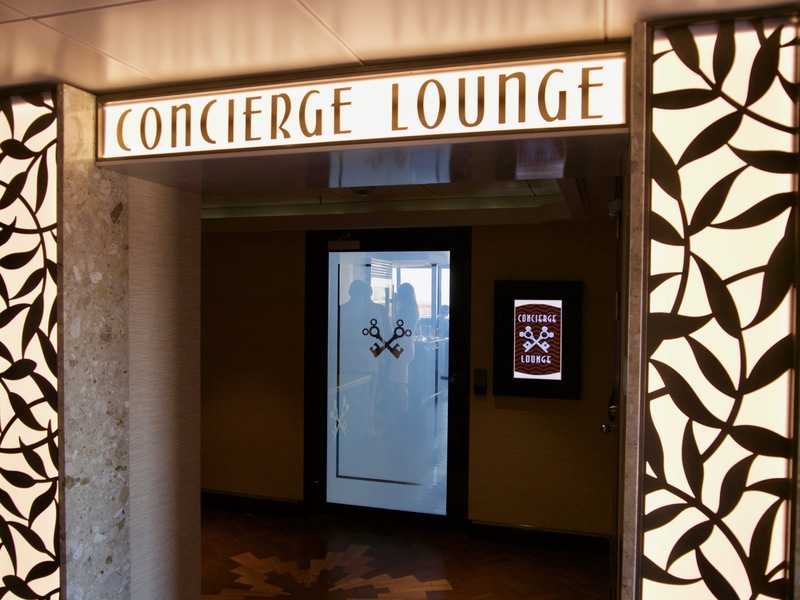 You can read more about the Concierge Lounge, Concierge Sundeck, and expanded Cove Cafe in my post about Adult Entertainment District and Lounges. 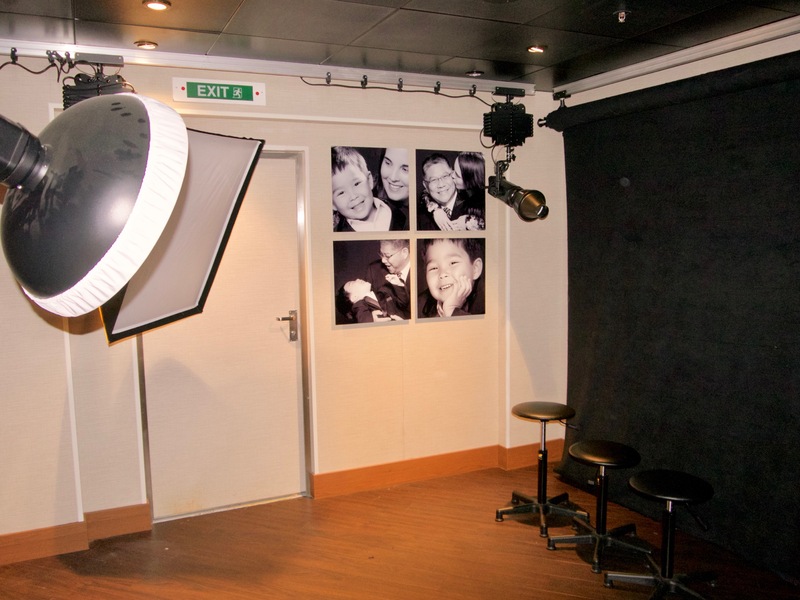 Guests in search of special family portraits can now schedule private sittings at this cozy new photo studio on deck 4 aft, situated between D Lounge and Shutters. The ship’s photographers still setup backdrops in the Atrium Lobby before dinner, for unscheduled portraiture. You can consider the new photo studio to be a supplemental photo op. 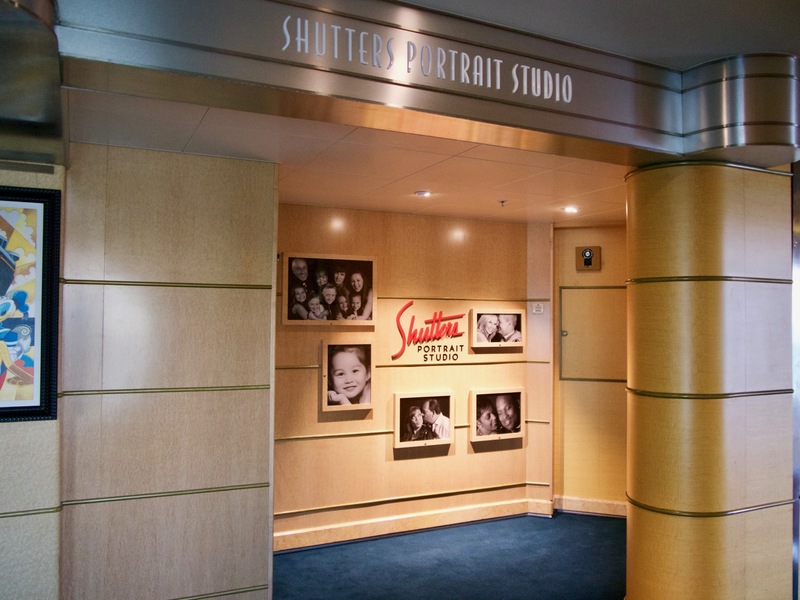 The days when cruisers could go to Shutters to flip through prints taken by the ship’s photographers are gone. 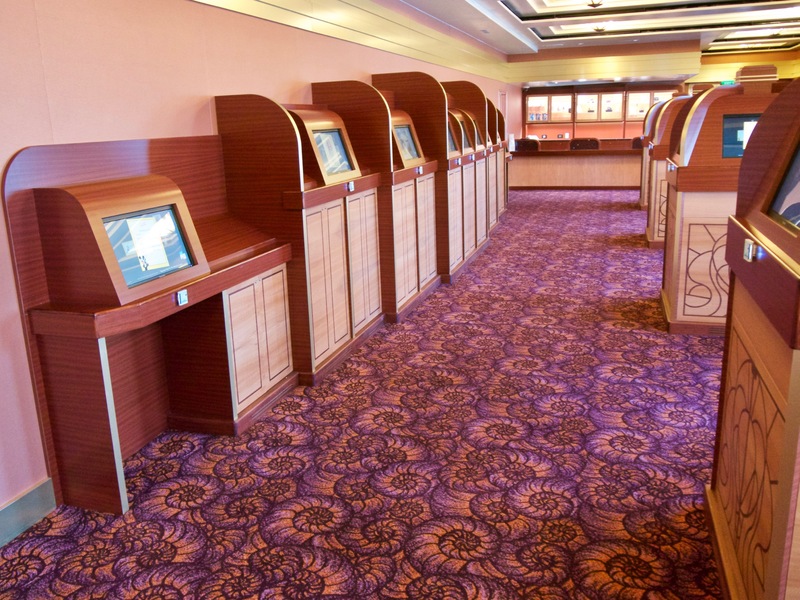 Prior to the latest dry dock, Shutters had electronic photo kiosks in the center of the room, while the wall was lined with shelves full of folios containing printed photos, one folio per stateroom. Now, the folios are gone, replaced by additional, wall-mounted electronic kiosks. One of the pleasures of Disney’s parks and cruise ships is that there’s always more to discover and more to explore. No doubt I’ve missed a few thing in this and my other reports, but why should I spoil the fun and surprises for everyone else?